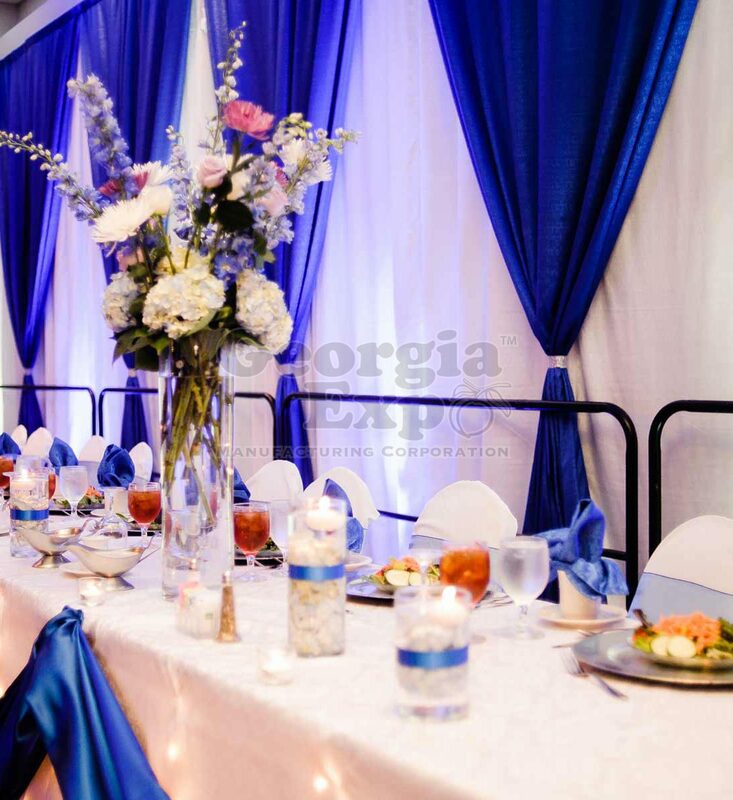 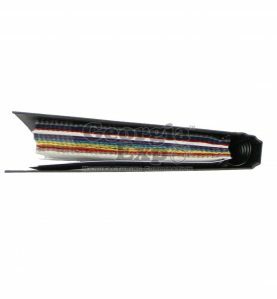 Poly Premier is a staple in the event industry and is commonly used to create Pipe and Drape back walls. 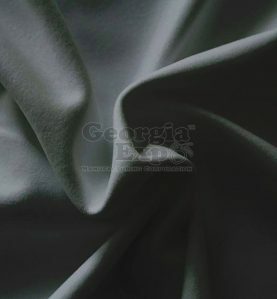 It has a linen look and feel with a flat, matte finish. 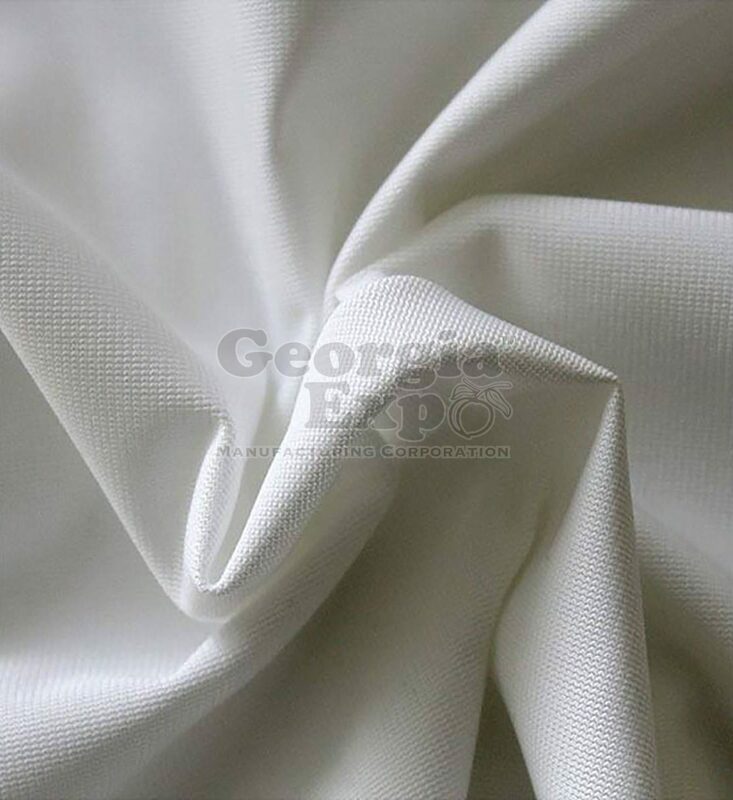 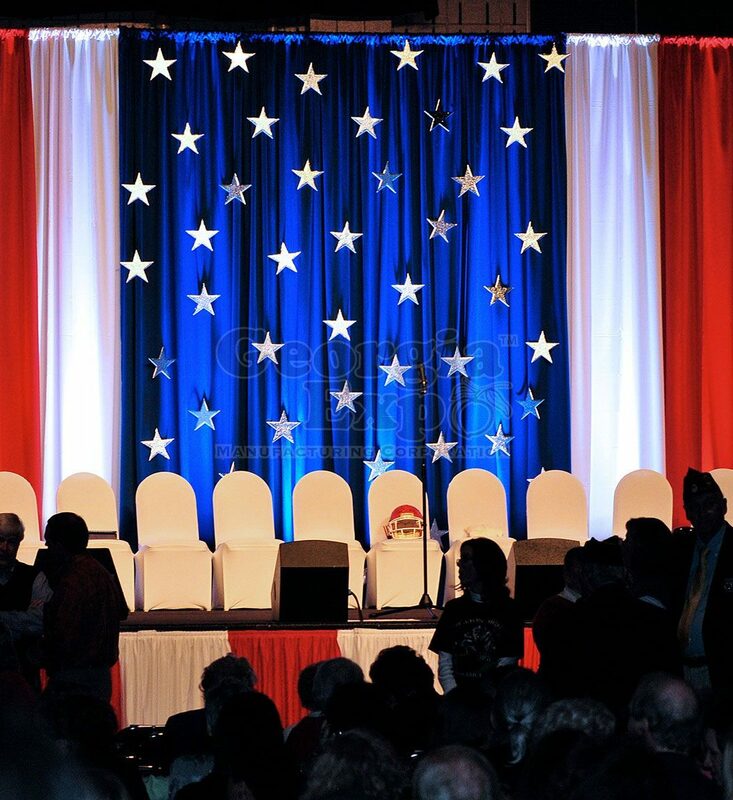 Its attractive price point and professional range of color choices make this the ‘go-to’ drape that can be used in diverse applications from trade shows to event design, best of all it’s Inherently Flame Resistant. 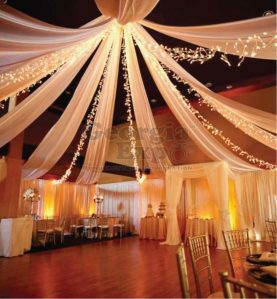 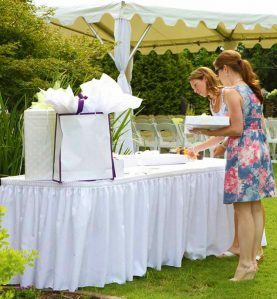 Poly Premier is a professional and affordable drape that’s easy to care for and maintain while hanging beautifully. 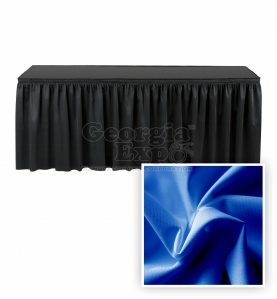 It has a flat, matte finish and the feel of a linen dinner napkin. Very similar to Poplin fabric. Poly Premier Drape is typically sewn off a 60″ wide roll (120″ wides are also available) and we recommend three panels per 10ft. section of Pipe and Drape to obtain 50% fullness. 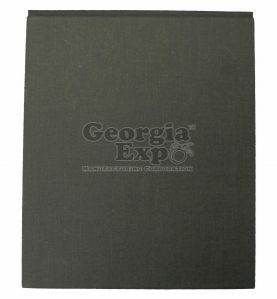 (Ex. 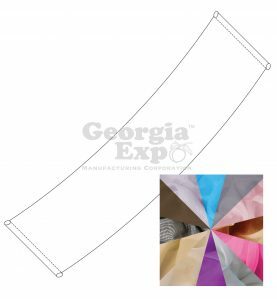 using three panels, 60″ wide you will have 15ft. 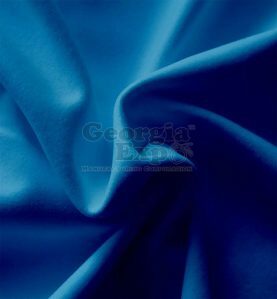 of Poly Premier drape on a 10ft section.) 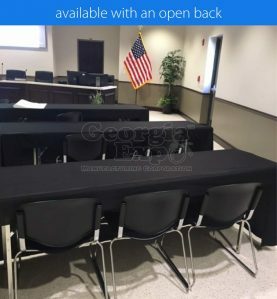 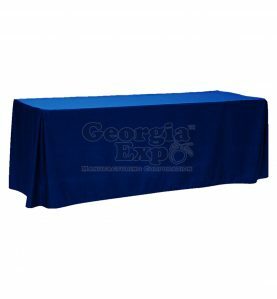 We also sell Poly Premier Drape off a 120″ wide roll, for information on 10′ wide panels, click here. 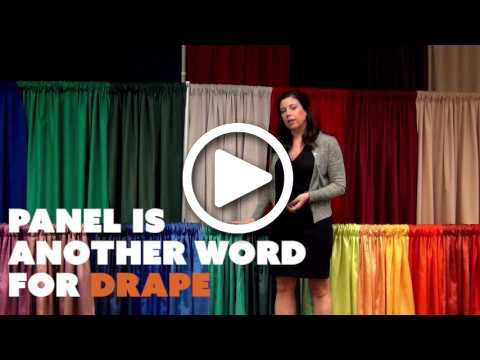 *Please note, while not common, the drape can vary in height/width +/- 1″.